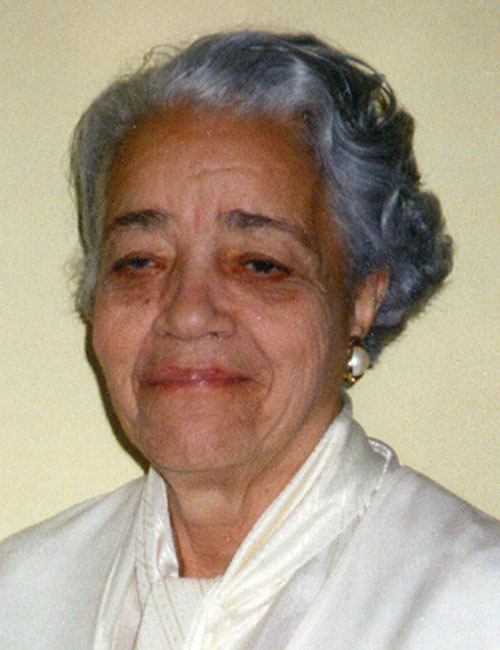 HAMPTON - Mrs. Dorothy J. Vaughan, 98, died on Monday, Nov. 10, 2008, at Sentara Careplex in Hampton. She was born on Sept. 20, 1910, in Kansas City, Mo., to Leonard H. and Annie A. Johnson. In 1917, the family moved to Morgantown, W.Va. She graduated from Beechurst H.S. in 1925 and received a B.S. degree in 1929 from Wilberforce University In Zenia, Ohio. She became a member of Zeta Chapter of Alpha Kappa Alpha Sorority in 1926. In 1943, she moved to Newport News and was employed as a mathematician at Langley Field for NACA (National Advisory Committee for Aeronautics), which was the forerunner of today's NASA space program. She was among the first group of Blacks to be employed as mathematicians. They were placed in a segregated section and were responsible for doing the mathematical computations for the engineers conducting aeronautical experiments. Using slide rulers, calculators, and film readings, they provided the engineers with the data needed to conduct various performance testing, such as the variables effecting drag and lift of the aircraft. These experiments were conducted in the wind tunnels at Lanley. Prior to moving to Newport News, she was a teacher at Robert R. Moton H.S., in Farmville, Va., and a member of Beulah AME Church. In 1993, she was honored as a 50 year member of St. Paul AME Church of Newport News. She actively participated in the Music department, Dora Brown Missionary Society and the Bread distribution program until her illness. Also she was a member of the Silver Bells at the Phillis Wheatley Y.W.C.A. She was preceded in death by her husband, Howard S. Vaughan Jr.; sons, Michael J. and Donald H. Vaughan. She is survived by her children, Ann V. Hammond (Rudy), Maida Kathryn Cobbins (George), Leonard S. Vaughan (Mary), and Kenneth H. Vaughan; grandchildren, Dr. Maurice G. Cary, Kimberly Isreal, Maida Robinson, Minister Kenneth H. Vaughan Jr., Dr. L. Stephen Vaughan, Dr. Tracie Vaughan-Veney, Michele V. Webb, Heather V. Batten, Melissa Vaughan and Bradley Smith; 14 great-grandchildren; sister-in-law, Emma Vaughan; daughters-in-law, Priscilla (Pat) and Audrey C. Vaughan; a special niece, Janet Vaughan; nephew, De'Jon Lee; a host of family and friends. A special thanks to Doctors Maurice W. Frazier, Phillip Dennis, and David Gore. The final care of our loved one has been entrusted to Cooke Bros. Funeral Chapel. View and post condolences on our online guestbook at dailypress.com/guestbooks. "So sorry to hear of your loss of your loved one. May God..."
"Thank you, Dr Vaughn for your achievements , perseverance..."